Upon meeting Daniel Caesar, my first impressions were nothing but genuine sweet thoughts about the Toronto native kid. He's quiet, polite, wholesome, and something about his presence warms you up and leaves you with no other choice but to smile. His latest seven-piece EP album entitled "Praise Break" took me by surprise because I didn't expect such a beautiful, sweet, angelic sound was hiding in his quiet and humble personality and demeanor. It immediately melted my heart and I've been hooked ever since. This young Toronto soul singer is something else and is guaranteed to sooth the darkest of souls. Daniel's latest EP serves as a follow up to his previous Birds of Paradise EP, which he released at the beginning of the year in January, and included three songs -- one of which was a flawless cover of James Blake's "Wilhelm Scream." For his latest EP, he welcomes the first day of fall in the most breathtaking way possible. Written by Daniel himself and produced by Jordan Evans and Matthew Burnett (yet again), you're promised another soothing, finessed and polished back-to-back sound. This time around he has included music and covers from respectable artists who inspire him, such as: Toronto up-and-comer Sean Leon, Ben Foran, Shannon Dooks, J'vell Boyce, Jordon Manswell, Brandon Horniachek, and does a seamless cover from James Vincent McMorrow's "Chevalier." His album artwork was provided by Toronto-based creatives, Liam MacRae and Marco Lee. Above is Daniel's first video for his song "Violet," directed by Liam MacRae, and is set to be the lead single from his latest EP. Daniel is definitely moving in the right direction with all the right supporters taking him under their wings. His producers Jordan Evans and Matthew Burnett have worked behind the scenes on songs such as Drake's "Pound Cake" and Eminem's "Not Afraid." And 20-year-old Toronto-based director, Liam MacRae has worked on Party Next Door's videos for "Break from Toronto" and "Recognize" featuring Drake. 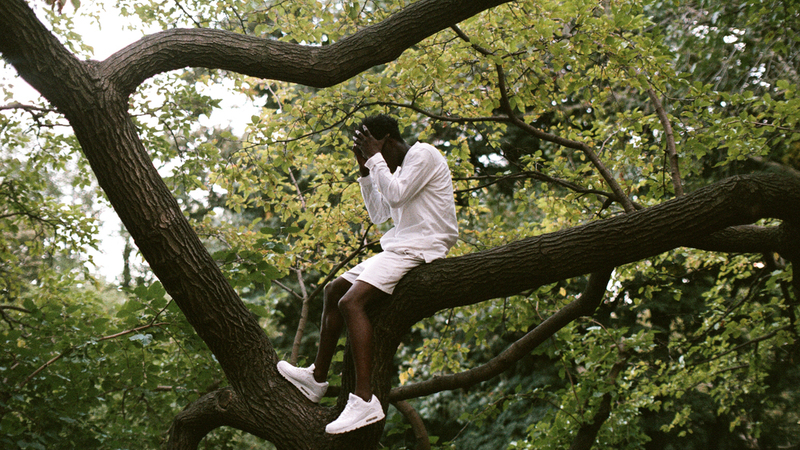 So please, sit back and enjoy the soothing sounds from Daniel Caesar. Welcome your new obsession.